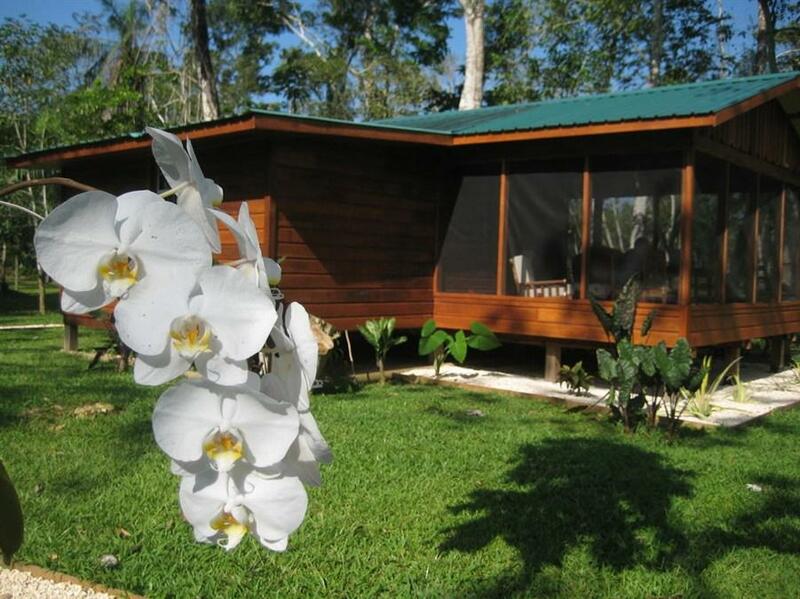 ﻿ Best Price on Casitas Calinas in Teakettle Village + Reviews! This cottage-style property features BBQ facilities including load of wood, free Wi-Fi and parking on site. The property also offers fresh fruit from the on-site fruit trees and eggs from free-range chickens. Casitas Calinas has facilities featuring a fully equipped kitchenette that includes hob, toaster, microwave and food items to prepare one first dinner and breakfast, plus terraces with garden views. The accommodations also include housekeeping twice a week, 2 loads of clothes to wash and dry each week and a cell phone with free beginning balance. The guests at Casitas Calinas are 15 minutes’ drive from the capital city Belmopan; there they can find grocery stores, and on Tuesdays and Fridays a farmer’s market is available. There is a resort within a 5-minute drive that has a public restaurant. Casitas Calinas has a hammock area overlooking the river and creek and featuring a direct access to a natural pool area. The rates include the loans of 2 bikes, a kayak, plus gear to play volleyball and badminton. Famous Actun Tunichil Muknal Cave is located on the outskirts of the village and Guanacaste National Park is 15 minutes’ drive away, while the Belize Zoo can be reached in a 30-minute drive. Please let the property know your expected arrival time in advance. You can use the Special Requests box when booking or contact the property using the contact information in your booking confirmation. Please note that a car is required to access this property. Please inform Casitas Calinas in advance of your expected arrival time. You can use the Special Requests box when booking, or contact the property directly with the contact details provided in your confirmation.